The Cross Joint Milling Machine KSF-2A is a special milling machine for the efficient manufacture of cross joints, equipped with an electronic positioning unit and a programmable machine control. 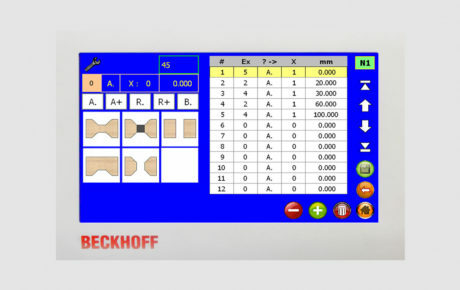 Very easy programming over a touch screen with graphical user interface. The operation is user-oriented and intuitive with clear icons. The machine operator can store up to 500 individual programs. 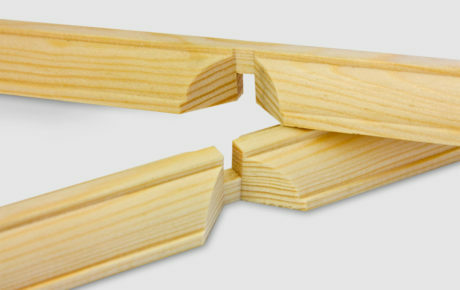 The millings for the cross joint are done fully automatically by two pairs of milling units working in opposite directions. 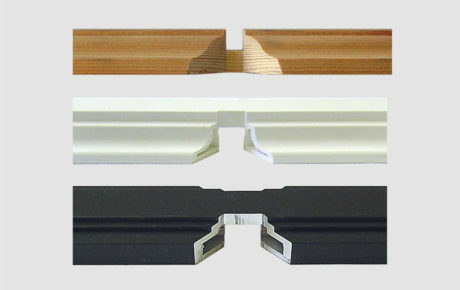 This operating method ensures that even profiled bars are milled absolutely tear free on the view side of the joint. The machine has an integrated NC pusher (NC-Stop) which pushes the bars exactly to the previously programmed milling position. 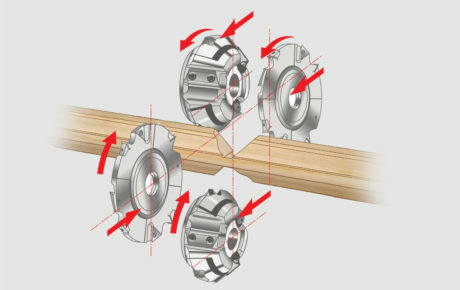 The rack and pinion drive guarantees absolute positioning accuracy. The cross joint milling machine KSF-2A can handle profiles of wood, aluminum, PVC or MDF. 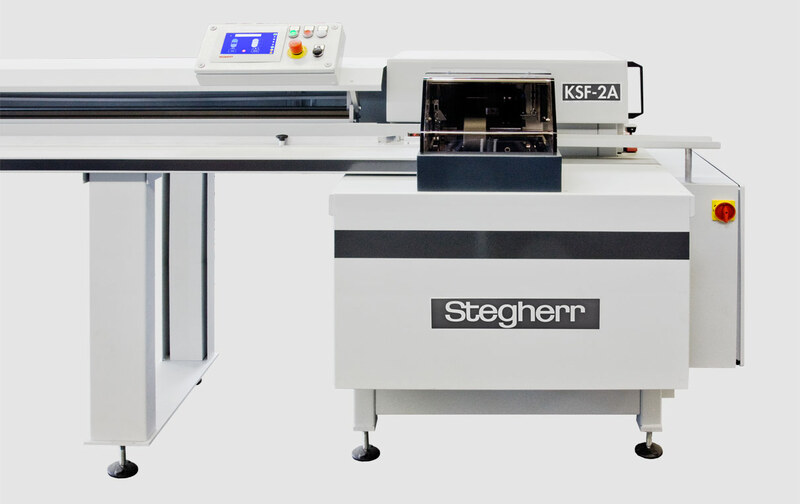 Service in Stegherr always includes the accurate adjustment of the machine to the customer’s profiles.